Nancy Wallace, author, intuitive life coach, psychic, experienced radio host and cable TV host, covers the spiritual fields and much, much more. Nancy Wallace has accomplished a level of psychic ability which is almost unheard of. From early childhood through adulthood. Nancy has been guided by angels. You will learn how angels have provided insight through precognition and interpretation of the Tarot. This extraordinary biography will help you understand the commitment Nancy has made to promote the understanding of psychic ability. Nancy has written and published her autobiography, 'Raised By Angels'. The unique feature of 'Raised By Angels' is that it is a self-help book. The information has been channeled by the angels to help Nancy help others to rise to a higher consciousness. Nancy's story is compelling, exciting and passionate. There is much humor and sentiment contained within the pages. Positive affirmations and other techniques are suggested to assist the reader in meeting their challenges and breaking the bonds with fear and repeated negative patterns. 'Raised By Angels' also alters the misconceptions of what being 'psychic' really is.Nancy is the owner and founder of Psychic Resources. 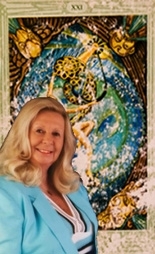 She has been doing intuitive life coaching for over 30 years. Nancy uses her tarot cards to help interpret the fifty words a second that comes through her during a counseling session. The cards displayed on the web site are a few cards from Nancy's deck that she used for over 25 years. They show the wear from all of the love that has been demonstrated to her clients. You may wonder how she has read them, most of the pictures are missing and they have grooves in the sides from the way she shuffles. 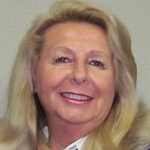 Nancy has established a clientele of hundreds of clients and probably into the thousands of clients across the United States and Europe. Her gift goes back to when she was a child and could see things happen before they happened. With her compassion for people and the knowledge that she has makes Nancy an excellant guest speaker and teacher. She is a delight to have at any party, or event or to have her do a private counseling session for you. Nancy does counseling sessions in person or by phone. Her sessions are 30 minutes. Your session will be recorded if you are in person. She has the ability to focus on pertinent issues and to be honest with the sensitivity to make the truth easier to understand. Her accuracy will amaze you, the review of the past, present and future will simply astound you! Nancy also does pet readings. She has been reading pets as long as she can remember. Nancy says that pets are easier to read than a person is because pets have their own psychic abilities without the hang-ups of anyone telling them they can't. Nancy has produced two cable TV talk shows, a radio talk show and now hosts an inter-net radio show. Nancy continues to grow, check back to her web-site often to see where is going to be doing and where.